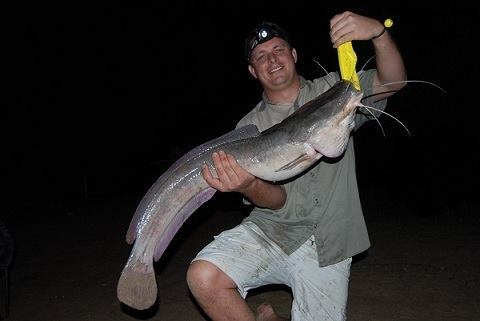 Cat fishing in South Africa has never been as popular as it should. Most fresh water guys want to catch bass and carp, these 2 species represent about 90% of the fresh water angling done with only a couple of us die-hards specializing in catfish. But for me, these amazing fish have turned from an interest to a hobby to an absolute obsession and my passion in life. My whole world revolves around the next catting trip. I just need to know what’s swimming in the water in front of me. 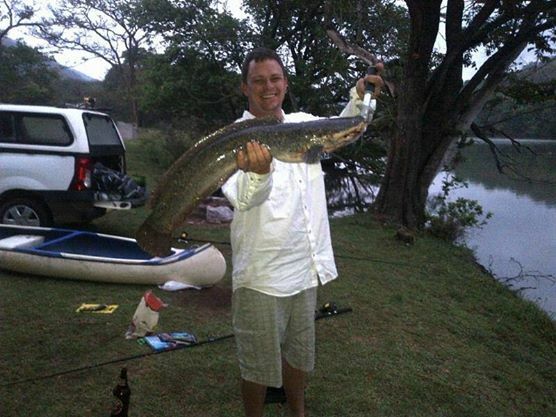 Here in Southern Africa we have 2 main species of catfish, the African Sharp tooth Catfish (referred to as a barbel) and the Vundu . The Vundu , unfortunately for me, is not found in South Africa. Both these fish will easily reach and get over the 80lb mark, with specimens of both being caught over 100lbs. In my opinion we have not seen the really big fish come out yet. I believe that fish up to 200lbs are swimming around our waters waiting for me to find them. The small barbel are easy to catch and generally hold in a large shoal, I can remember one outing when I caught seven fish in under an hour, the bait didn’t even reach the bottom before the shoal was on it. 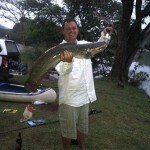 Shoal fish are generally around 8lb in size. When I find a shoal, and I’m after bigger fish, I pull my baits out the water and move to a new spot. Large barbel are generally solitary animals, and being like a grumpy old man, dislike any form of disturbance and will leave an area to get away from the noisy youngsters in the shoal. 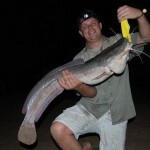 Barbel, like most catfish, hunt more actively at night than during the day. This lends itself into the way most of us fish for them. 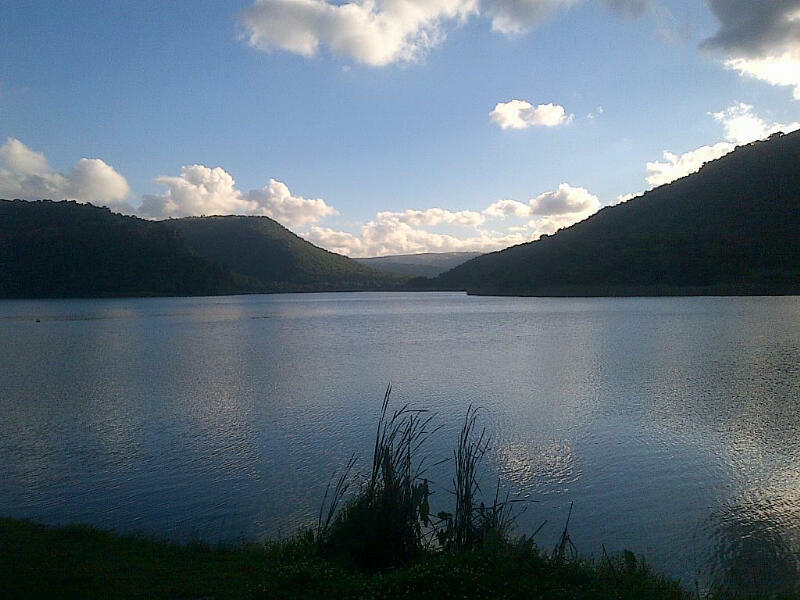 Bank angling is the most widely used angling method, so we camp over a night or two with baits in the water. This can be hit and miss, especially when trying to land decent fish. Also the novice angler can get horribly frustrated with many blanks experienced flogging the water with no fish on the bank. The normal procedure is to paddle big bait out as far as you can and drop it. However, this can be a waste of time if you do not put your bait in the right spot. Fish are moving around so one needs to understand how and why they are moving and what structure they are using to move along. I will usually fish 3 rods, 2 with medium sized bait and one with either a large live bass or carp or a big cut bait. The medium sized baits I will place, one shallow one further out and one in the deep water. While placing the bait I will use a portable fish finder on my canoe to find structure and cover I know fish will use. Any ledge or drop off is worth a very good look, and if I find a good slopping drop off, I know fish will be holding on it all night. My job is to find what depth on the drop off they are feeding on. Once you find the cats you will have a good evening. 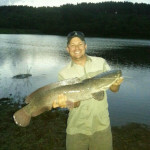 It is not uncommon to catch 7 to 10 fish a night, but most often it is 2 or 3. Because we are fishing a very big expanse of water, we need to find the paths these fish are using to get from feeding spot to feeding spot. Or we need to find anywhere that bait fish like to hold. I place bait about 50m away from a spot like this and one close. That way I can try get the fish before he moves into the feeding zone and not disturb the rest of the fish feeding there. As far as bait goes I am a natural bait man. These catfish can be extremely fussy at times and downright greedy at others. Summer the fish have eaten well in spring and slow down on the feeding slightly, now they eat what they want not was is there. So type of bait and presentation become extremely important. I mainly use cut bait, as it is easy for me to catch fish when they are biting and freeze them. 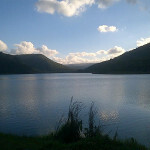 I am a firm believer of using fish from the same lake or dam I am fishing. This is because they are the species the fish know and are used to eating. You wouldn’t lure a vegetarian into your house by offering them a steak, so why offer the catfish something it does not know. Especially big fish, small fish will take anything. I usually take a bass, carp or tilapia and cut them in half. Than hair rig the lips to the hook. I always fish a sliding sinker rig, this way the fish feels little resistance when it takes the bait and I refuse to use anything other than a circle hook. I use the same rig for my live bait. Live bait can be a deadly bait and most of my bigger fish all come out on live bait. Frogs are another fantastic bait and I often use them when fishing from my boat. These can be rigged live or as a dead bait and are deadly, the cats can’t seem to leave them along for long and feed on them greedily. One bait that may be unusual is dead day old chickens. These are often very easy to get hold of, not for the weak stomach however. I usually skin them and remove heads wings and feet. The reason these are deadly is down to what a fish looks for in a scent trail: protein protein protein. One of my favorite things to do is find an overhanging tree with birds nesting in it, when the chicks hatch the catfish wait under the tree for the unlucky birds to fall in the water. If you cast a weightless dead day old under that tree you best hold on as it will be attacked with the utmost power and its game on. I hope you guys find something interesting in this article and look forward to sharing more of fishing for cats under an African sky. This article was written by Robert Hellig. 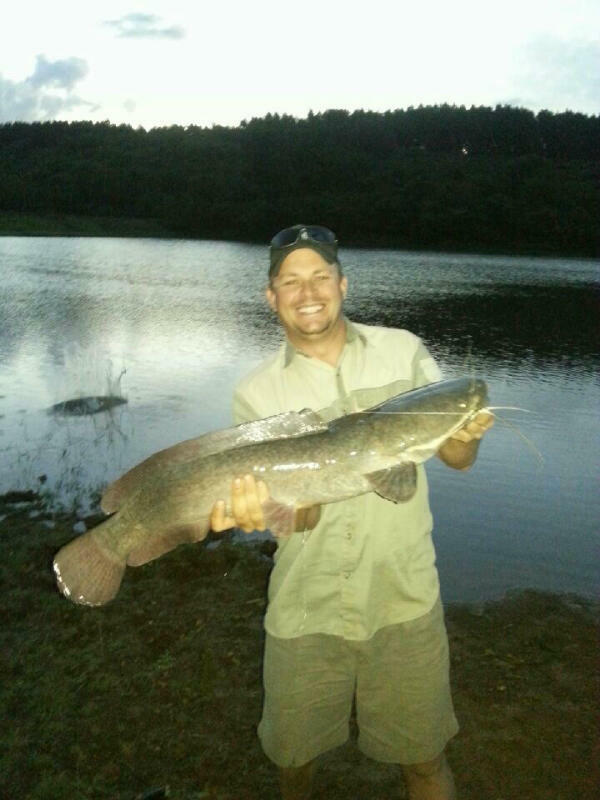 Robert lives in South Africa and is an avid cat fisherman. Robert Hellig also works with Catfish Africa, an organization dedicated to promoting the sport of catfish angling in South Africa.